The global hair trade was estimated to be over a staggering $81 million in the year 2017, with Pakistan emerging as one of the largest hair suppliers in recent years. China is said to have received around 105,000 kg of hair from Pakistan over the past 5 years. Last month, the Pakistan ministry of commerce said that they have exported around $1.6 million worth of human hair in the last half of the decade. Islamabad, the capital city of Pakistan, harbors thousands of homeless children who roam around the city’s dumpsters looking for human hair. Hassan Khan, a young boy who is one of the homeless children said that human hair is an item he scavenges for in the outskirts of the capital city. His efforts are rewarded with $0.70 a day. Rao Shahzad is one of the three million traders involved in the vast Pakistan hair industry for the last decade. He is one of the Pakistan exporters who send hair to China through the southern port of Karachi. From the business point of view, he believes that if the hair business was conducted with the government’s support, they could realize 10 times the current profits that they gain from the industry. Mr.Shahzad attributes this kind of potential to the good quality of hair found in Pakistan. In January, the Pakistan press reported that the Ministry of Commerce had the chance to brief the lower house of parliament on the commercial contribution of the hair export enterprise for the first time. The Ministry also stated that much of the Pakistan human hair ended up in China, where the cosmetic industry is quite buoyant. Chinese cosmeticians mainly use the hair to make wigs, hair extensions and weaves. 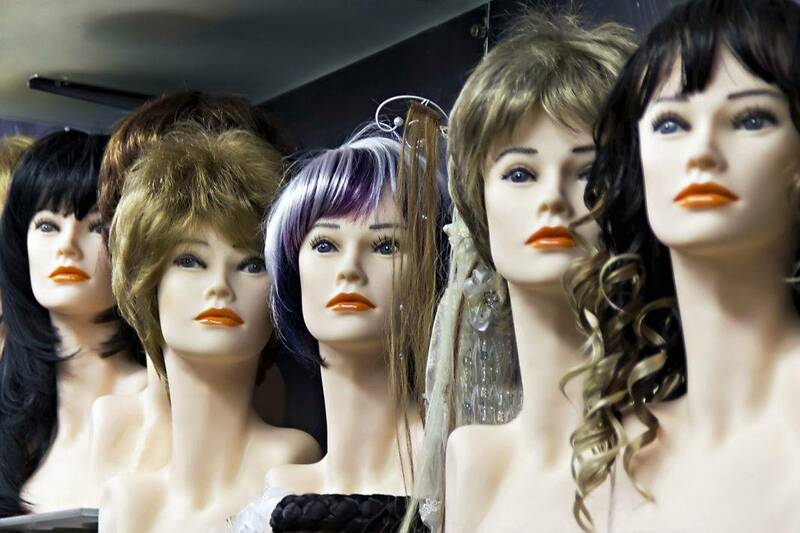 Although local businessmen like Shahzad say that the hair industry in Pakistan is informal, the country was ranked as the 5th largest hair exporter in the world after other renowned hair exporters such as India, the United States, Singapore, and Hong Kong. The hair picked by street children is gathered and sold to local dealers for around $18 per kg. The dealers then pile the hair and sell it to companies that clean and comb the hair. Once it’s washed and packed, it is sold to traders at $36. The traders ship it to China themselves or send it through exporters like Shahzad. An anthropologist and author of a book titled Entanglement: The secrets Lives Of Hair, Emma Tarlo, said that much of the hair that is imported from both India and Pakistan come from combings that are actually removed from peoples combs. This happens after hair collects on the combs during washing and combing. She further said that in Pakistan and India, women have very long hair, and they wait till they can accrue a year’s worth of fallen hair which they sell to door to door hair collectors. The hair is then taken to workshops that are tasked with sorting and untangling, and finally, it’s packed in bunches and shipped off to China. Tarlo added that in most cases, the hair is untangled and washed by hand without any kind of machine processing. The most valuable type of hair is long and natural hair without any chemical alterations. The hair can be dyed or bleached in factories, but this is not always good as it makes it weaker. The locals believe that over 100 Chinese traders are involved in the Pakistan local hair business. The number has however been on the decline in recent years. Experts in the hair business attribute this diminishing trend to the lack of hair supply from Afghanistan as it previously was. The owner of the Waheed Hair Company from Vehari, a central district in Punjab, Mr. Naheed Akhtar said that negotiating with the Chinese buyers is part and parcel of the hair business. He added that most of the Pakistan traders have a higher preference of dealing with the Chinese traders who come to Pakistan rather than attempting to take the hair to China themselves due to the high cost involved. One of the Chinese said that in order to compete with other Asian hair suppliers, Pakistan may have to invest more in hair processing plants. Digital money- what does it mean for the common man? Things to remember on your first backpacking trip!